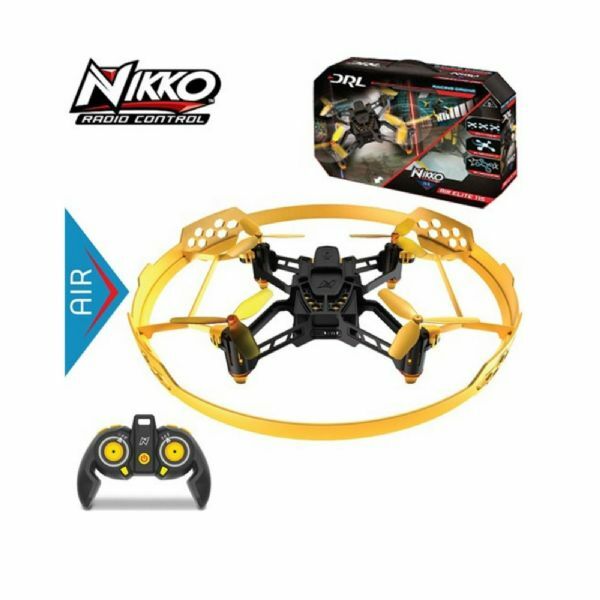 New pilots can fly with confidence with this Nikko Air Elite 115 Racing Drone. The Drone features a removable protection ring which when fitted can help withstand any crashes the young pilot may encounter. The drone has many features which will help the young pilot fly with confidence, including autofly technology, 16x one touch stunts like flips and rolls funnel turn all at the press of a single button on the game like controller, highly durable design so flex bend and crash with confidence. 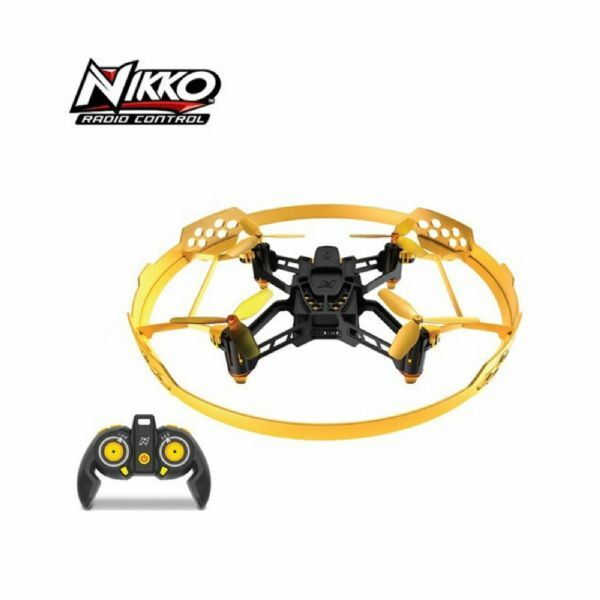 When the young pilot starts to gain confidence, the drone can be adjusted to suit their skills via the variable modes which are Nikko mode (beginner) Advanced Mode (stabilized) and Pro Racer Mode (Manual). The drone also features variable speeds from low speed, mid speed and high speed (20+ MPH), this drone is great fun flying for every experience level. 4 x AA/LR6 batteries rqd for the controller (included), rechargeable battery for drone included, usb lead included, spare rotary blades included.